The thought of home grown fruit and veg has recently grabbed my interest. I don't know if it's because I've become a vegetarian and I'm now thinking more about where my food is coming from, or whether I'm taking more pleasure being in my garden. In all honesty, I'm no gardener. In fact, I have very little skill or knowledge - but I would like to learn. We have a fairly small garden, last year we spent some time designing one-half of the garden - we left the other half because we just couldn't decide what to do. Well, it looks like we're finally getting our summer house/shed installed this summer (we've only been waiting a year!) and so my thoughts have turned once more to the rest of the garden. I would absolutely love to grow our own veg, though I feel we simply just don't have enough room for a full veggie patch. So, I'm looking at options for growing fruit and vegetables in pots. We have an area by our kitchen window that I would like to place either a patio or decking, this would make the perfect place to grow herbs, veggies and fruits. It's an area of the garden that also gets the most sunlight and with the little gardening knowledge I do have, I'm guessing that's a good thing! 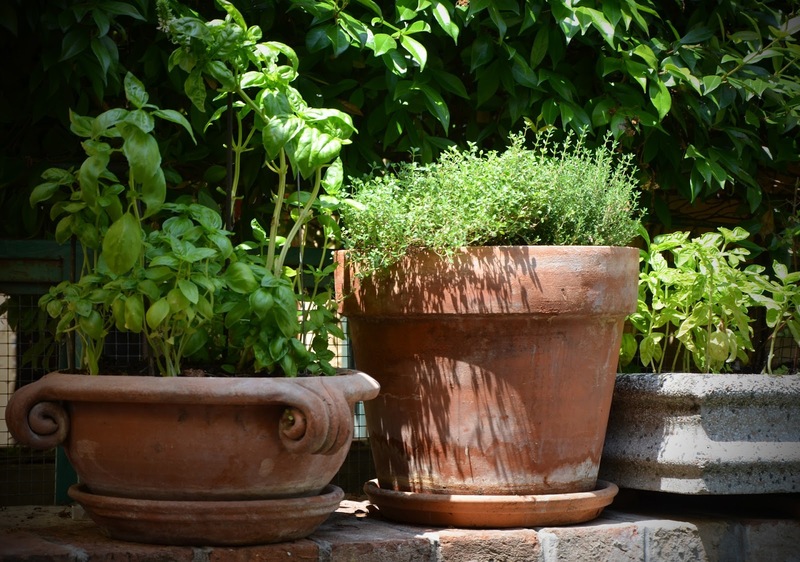 You can buy specialised pots for herbs or ones which give herbs space to create deep roots are favourable. I found the Royal Horticultural Society really helpful for advice and their website has helped me what to plant and when. As for Veg, I'm thinking of growing, peppers, salad onions, tomatoes and peas (if I can squeeze them in), these too lend themselves well to pots. Fruit, we're not going to go wild - we're going to give strawberries a go! I know the kids will love this and I'm thinking this is something my two can do together. Other than growing my own fruit and veg, I would love to add a few more flowers. I'm going to get some wall flower baskets for our new summer house and I'm sure that will bring a little more colour to our outdoor space. As one of my priorities at the moment is wellbeing bringing a little area of calm is so essential to our garden space. 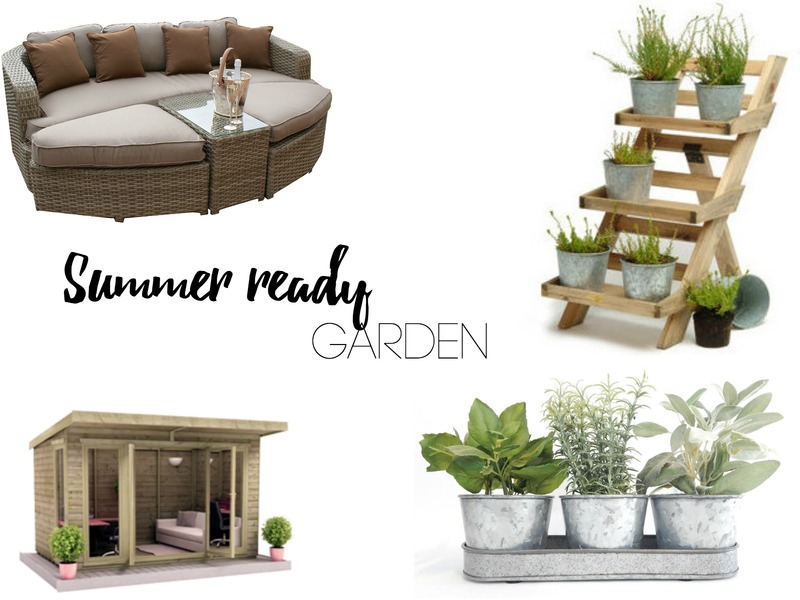 I feel that adding some garden furniture where we can then fully relax - whether it be just me and the hubby or all of us together, will be pretty perfect. I keep seeing those daybeds and feel this would be heaven during the summer months and almost adds another room to our home. I would love to know if you grow your own fruit and veg and if you have any tips for me.